Buying a horse is an exciting time for all riders, and it is pivotal that you choose the right horse for you. It’s one of the proudest moments in any horse lover’s life with each horse marking a special day in their lives. Not only is it a lengthy process that can take months, it is also a financially and emotionally draining experience. Do I want a show horse or a trail riding horse etc.? What goals do you have for this horse? What characteristics are a no go that you can’t look pass? What level of experience should this horse have to suit your riding experience? Remember that there is no such thing as a perfect horse, so you may have to accept some little imperfections. When factoring in a budget for your new horse, you have to take in to account all the extra costs that come along with the initial purchase price. Some of these costs include pre-purchase exam; tax; trainers commission; transportation; new tack or clothing; boarding fees; food; vets etc. Don’t make the mistake of buying a cheap horse as many of these are green horses (little or no training) and will cost a lot more in the long run with the extra training involved. A green horse and an inexperienced rider will not mix well and potentially end in disaster or with the rider quitting altogether. As stated above, many first time buyers see a horse and instantly fall in love with it. However, especially for beginner riders, a good looking horse does not always mean they are easy to ride or train. It is better to find a horse based on its temperament and suitability rather than its looks. You don’t want to make it home with your new horse to find out they are too much for you to handle. 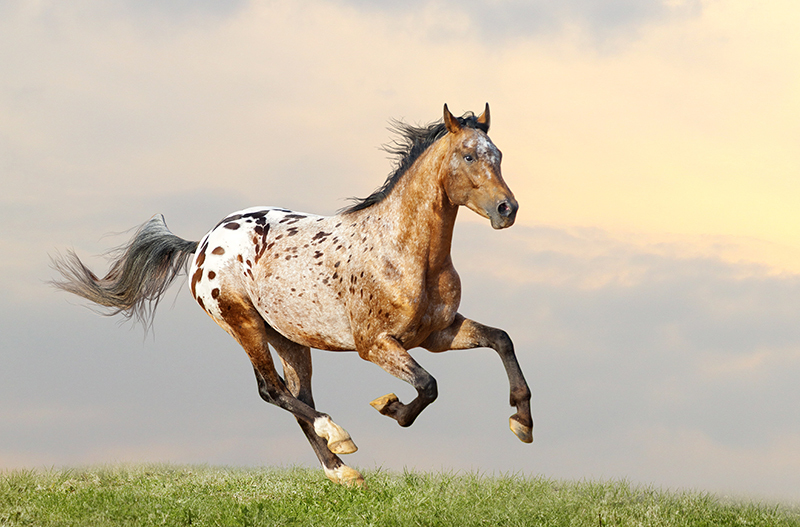 The temperament of a horse is one of the most important factors when looking to buy. A young horse can be educated, an older horse can be slightly tuned up, however, it is next to impossible to change a horses attitude. If you are looking for a new horse for a young rider or beginner, you can definitely not look pass their temperament. An aggressive horse can severely impact the riders learning as well as the bond they want to share through the years. This may seem obvious, although many prospective buyers will purchase a horse through reputation or from what the buyer tells you rather than actually seeing for themselves. No matter how far away the horse is from you, find a way to see it or at the very least, get someone you know and trust to have a look for you. If the horse sounds too good to be true, it usually is. The seller will obviously tell you the best parts about this particular horse and until you actually get to see it for yourself, there is no way to really tell if it suits you and your riding capabilities. If you believe you have found the perfect horse for you, the next step is to bring someone who is more experienced with horses along with you. Don’t just bring a friend who is around the same experience as you, find someone such as a riding instructor or a professional who has some experience in buying horses. Although a horse may appear healthy, it’s important to get a veterinarian to check it out and give you the all clear. These checks can range from a simple quick check up to a more in-depth exam that can x-ray the horse to check all bones and joints – it just depends on what you’re buying the horse for to determine which check-up you need as well as what you’re willing to spend. Once you have the results, it is ultimately up to you whether you continue with the purchase even if the horse has a few health problems. How much are you willing to spend to maintain your horse’s health? Be sure to get all the facts about possible conditions or problems before making the final purchase. Horse ownership is not for everyone and they are a huge time, emotional and financial commitment that should be strongly considered before purchasing. However in saying this, the purchase of a horse, no matter if it’s your first or 10th, is a special moment in the owner’s life that will be cherished forever. So in order to pick the right horse that will be by your side over the years, keep the above tips in your mind and you will find the perfect horse to suit you. « Is my Dog Depressed?